Sony, a global leader in gadgets and technology, has managed to stun the world again. This time it has come up with a new Crystal LED TV technology, which it introduced at the Consumer Electronics Show (CES) 2012, which took place this January. The future technology is being developed to give consumers the best TV watching experience. The company is known for introducing innovative products and the Crystal LED (CLED) technology is just another addition to the growing list. The company displayed its 55” prototype crystal LED TV, which apparently has about 6 million LEDs to create a complete HD image. These LEDs put together create a superior quality 1080p image. Each RGB color uses 2 million pixels. The technology is something new and different from the other HD TVs. The technology creates high quality images that are brighter as it uses the 6 million micro LEDs as the source of light for the television. The LEDs are mounted on the front of the display and therefore require no extra backlight source, which is why this technology is also referred to as self-emitting display technology. 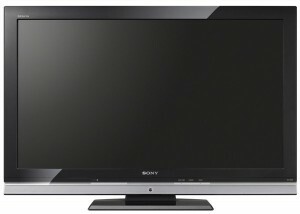 The TV, according to the Sony, has enhanced features like better response times, more brightness, better scope for contrast and wider range of colours compared to the other TVs. The Crystal LED display is also said to be “ideal for large screens”. The contrast is said to be 3.5 times higher and the brightness of the TV is said to be over 400cd/m2. Video images have a greater response time that is about 10 times better than the other Sony TV models. The TV has a resolution of 1920X1080 pixels and the angle of viewing is close to 1800. One more positive of this technology is the amount of power consumed by the TV. According to the company, it consumes less than 70W of power. The TV has an incredibly thin structure that is only about 4mm deep and 7.6mm thick. The new technology increases the life of a TV as there are no any organic materials like Organic Light Emitting Diodes (OLEDs) used. The problem of colours fading over time on OLED TVs can be effectively solved by this technology. It ensures that the rich colours of the TV remain intact for a longer time. The product has already created a buzz and the reviewers have also been kind. Sony has managed to attract eyeballs with this next generation technology. It has been touted to be the next big thing in consumer electronics industry, which means that the plasma and OLED TVs have serious competition. The company is yet to give out a date of release and the cost of the TV. Since the crystal LED technology is more “stable” and might lead to lesser manufacturing errors, Sony claims that the price of the TV would be lower than OLED TVs. Consumers will just have to wait until the company launches the final version of the TV in the market. Penny Cooper is a professional writer for a content writing company who enjoys writing about various Technology topics. She is a writer by day and a sitcoms watcher by night. She claims that most of the knowledge about Physics and Astronomy can be got by watching “The Hitchhiker's Guide to the Galaxy” and most of the family problems can be solved if one watched “Modern Family” regularly. Apart from catching sitcoms she also contributes regularly to Homesystemintegration blog. Check out some of her interesting posts on Whs and Home server 2011 on Homesystemintegration blog where Penny is a contributor. I too heard about this new technology TV created by Sony, I think this launch going to bring revolution in the field of LEDs and it also seems to cost less so more and more people can afford it.